An Indian Prime Minister paying homage to America’s fallen soldiers at the Arlington National Cemetery is probably the most iconic image of Modi’s latest visit to the US. Since the 1920s, Indian leaders have espoused their antipathy to military interventions and imperial adventures. “Slaves ourselves”, Nehru wrote in 1927, “it has been our degrading function to help in the enslavement of others for the benefit of a third party.” This wasn’t just an emotional belief. Indian sepoys had formed the sinews of British power projection across Asia and Africa for decades until London’s sudden departure from the subcontinent in 1947. In his Discovery of India, Nehru had noted how “Indian troops had been used as mercenaries” for “imperialist purposes” in “Burma, China, Iran…Middle East, and…Africa”, making them “symbols of British imperialism” across Asia. The conviction that India would never again play such an enabling frontline role to fuel and sustain the ambitions of another great power became engrained in our post-colonial belief system. This core belief persisted even beyond the post-Cold War era. It was first challenged quite dramatically in 2003 when the Vajpayee government came within a whisker of replaying the traditional sepoy role, this time to America’s invasion of Iraq. Ultimately, Delhi chose to adhere to its core beliefs: India would not deploy its boots to fight another country’s war. The symbolism of Modi laying a wreath at Arlington appears to reflect a turning point where past shibboleths are no longer deemed appropriate for India’s position in the world. Modi’s ambitious quest to transform the Indo-US relationship will reverberate across the international system. It will also change India and its role – both in her own region and in Asia. The rhetoric of the joint statement leaves little doubt about Indian preferences: “The leaders affirmed the increasing convergence in their strategic perspectives and emphasized the need to remain closely invested in each other’s security and prosperity.” Both leaders also “resolved that the United States and India should look to each other as priority partners in the Asia-Pacific and the Indian Ocean region.” While it is perhaps premature to predict how this shared vision will actually play out, the critical question is, what are the possible geopolitical consequences of this dramatic shift in India’s foreign policy? 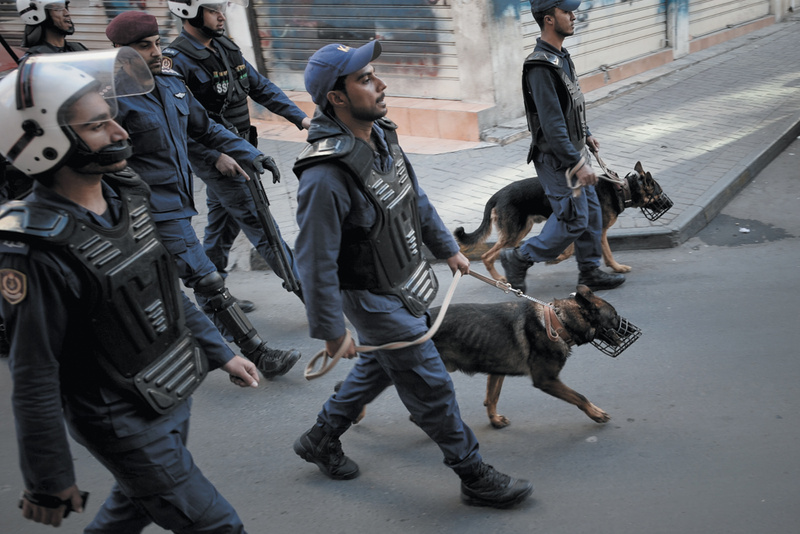 Mohammed al-Shaikh/AFP/Getty ImagesBahraini police dispersing protesters at an unauthorized demonstration by the February 14 Youth Coalition, Manama, January 2013. The coalition is named for the day that Bahrain’s uprising began during the Arab Spring of 2011. In his best-selling History of the Arab Peoples, published two years before his death in 1993, the Anglo-Lebanese scholar Albert Hourani remarked on the surprising levels of political stability prevailing in the Arab world at that time. Despite the rapid growth of its cities, and many disparities of wealth between the governing elites and newly urbanized masses who were calling for social justice, calm seemed to rule, at least on the surface. Since the military coups of the 1950s and 1960s in Egypt, Syria, Iraq, and elsewhere there had been remarkably little change in the general nature of most Arab regimes or the direction of their policies. Saudi Arabia, the Gulf states, Jordan, Tunisia, and Morocco had seen no dynastic changes for more than two generations; in Libya and Syria the regimes that came to power around 1970 were still in place. In 2000 in Syria, nearly a decade after Hourani’s book was published, leadership passed smoothly from father to son, while in Egypt and Libya the issue of dynastic succession was being widely discussed. Swami Vivekananda’s economic thoughts are not that obvious or direct. However, there are more than a few reflections of his where he engages with societal problems as an economist would. Here, Dr Bibek Debroy brings forth those. * Can China realise its One Belt, One Road dream? China’s ‘One Belt, One Road’ (OBOR), which was first proposed in September 2013, and combines the twin initiatives of the Silk Road Economic Belt and 21st Century Maritime Silk Road, is a grand concept that envisions China girdling the globe. Essentially, it is a plan for a China-built land and sea transportation artery to link production centres in China with markets and natural resource centres around the world. At the same time it will harness China’s massive, but hitherto idle, economic, manpower and technological reserves and get much-needed returns on investment. The initiative blends geopolitical and diplomatic objectives and has a strong domestic agenda. The latter was highlighted when an official of China’s Ministry of Commerce told Caijing magazine in May 2014 that the “new 30 years” will put today’s China on the threshold of a third era comparable to those begun by Mao Zedong and Deng Xiaoping. The approximately $1.4 trillion project potentially covers 55% of the world GNP, 70% of the global population, and 75% of the earth’s known energy reserves. China also claims to be willing to make a huge financial commitment in infrastructure financing and, though some multilateral and bilateral pledges may overlap, it is still estimated to exceed US $300 billion. The initiative has the potential to bend borders and alter geostrategic dynamics and the status quo in China’s extended neighbourhood. Its completion is planned to coincide with the 100th anniversary of the People’s Republic of China in 2049. DESPITE HIS initial reservations about the merits of close relations with India, President Obama appears to be ending his second term on a high note. The Obama administration invited Prime Minister Modi to address a joint session of Congress, eager to portray the occasion as an opportunity to consolidate bilateral relations. Indeed, this dramatic shift in President Obama’s foreign-policy priorities stems from the assessment of three components of American national interests and India’s role in their achievement: build strong bilateral security and defense cooperation, make India an important export market for U.S. goods and services, and situate India in the strategic pivot to Asia. But a close analysis of American foreign policy toward India shows mixed results. President Obama has succeeded in substantially strengthening existing defense ties, but has had far less success in accelerating U.S. exports to India. This seriously undercuts his goal of advancing American economic interest. President Obama has failed to fully convince India of the American commitment to the Asia pivot strategy. India’s regional concerns over territorial defense from neighbors, coupled with America’s allocation of insufficient resources, contribute to its ambivalence about the pivot. President Obama’s dramatic shift in foreign policy toward India—from a lukewarm attitude to a strong embrace—appears to have elevated the bilateral relationship to a high priority for the United States. These shifts are important because as a self-professed realist, President Obama focuses on securing America’s core national interests. He has not hesitated to question the relevance of U.S. friends and enemies in the pursuit of those interests. In fact, Obama did not support the U.S. strategic partnership with India under the George W. Bush administration. He has, however, dramatically shifted his policy priorities to build closer relations with India. President Obama describes the U.S.-India relationship as one of the defining partnerships of the twenty-first century, guided by convergent national interests. There is a common perception that the extraordinary plenary meeting of the Nuclear Suppliers Group (NSG) on 9-10 June in Vienna to consider India’s membership is solely about New Delhi’s non-proliferation record in general and it being a non-signatory to the nuclear Non-Proliferation Treaty (NPT) in particular. But it is not. In reality, it is a contestation between the US and China to determine the future of the nuclear and world order. China’s public declaration to oppose New Delhi’s formal NSG application is more about keeping India out rather than bringing its “all-weather friend” Pakistan (which belatedly also put in an application) in; it is more about securing the existing nuclear and world order rather than strengthening the non-proliferation regime; and, above all, it is a blatant challenge to Washington’s leadership in shaping the evolving world order. So far, the indications are that China is likely to win this round, despite its flawed arguments. Prime Minister Narendra Modi will be in US from June 7 and 8. Prime Minister Narendra Modi’s forthcoming visit to the United States, from June 7-8, his fourth since entering office in May 2014, is both a pointer of the extent of distance the two countries, India and the U.S., have traversed in the last two years and of the enormous potential still waiting to be tapped. In the run-up to the 2014 general election in India, the bilateral discourse stood vitiated. The strip search of an Indian diplomat stationed in New York provided an indication of the extent to which the relationship had got derailed. Only mature handling could revive the relationship and impart to it momentum for revitalisation. This was on display in abundant measure on both sides. American exceptionalism draws inspiration from its Constitution, the Bill of Rights and the separation of powers contained therein. Its sense of entitlement is enhanced by the fact that today it has a $17-trillion GDP and by its position as the world’s sole remaining superpower. The Indian political elite has decided to enter into a “global strategic partnership” with the U.S. based on shared democratic values and the perception of increasing convergence of interests on bilateral, regional and global issues and do business on a scale that would have been considered inconceivable some years ago. This course has very different implications for the two countries. Who’s Afraid of One Belt One Road? New Delhi is concerned about the China-Pakistan Economic Corridor project, part of the new ‘Silk Road’, but it need not despair as India is an important part of the existing multi-polar Asia architecture. The signing of the Chabahar port development agreement and the tripartite pact on a trade and transit corridor linking India, Afghanistan and Iran during Prime Minister Narendra Modi’s recent visit to Iran has re-opened the discussion in New Delhi about what position it should adopt on the Chinese-sponsored logistics project, One Belt, One Road (OBOR). Some background to this would be useful. In September 2013, during a visit to Kazakhstan, China’s president, Xi Jinping, announced a Chinese initiative — the setting up of connectivities across the landmass of Eurasia and the waters of the Indian Ocean that would collectively be known as the OBOR. He anchored this vision in the old ‘Silk Road,’ which in his view had originated with the encounters of imperial envoy Zhang Qian (200-113 BC) with Central Asian civilisations over two millennia earlier. Since then, the OBOR has become the most important element in Chinese economic and political diplomacy, as its leaders, officials and academics attempt to fine-tune their thinking and get more supporters — governments, officials and the corporate – on board for this dramatic enterprise that has the potential to fundamentally transform the world’s communications, and its economic and political landscape. As other powers begin to devote quality time to engaging South Asian nations, big and small, Delhi must lend additional depth and energy to its current “neighbourhood first” strategy. Above all, it must come to terms with the unfolding globalisation of the Subcontinent. Much of the international discourse on South Asia often gets reduced to the India-Pakistan relations; this only helps mask the significance of the other nations in the region. And the reference to them as “smaller nations” of the region is largely inaccurate. The bloodthirsty jihadist organization that calls itself Islamic State (IS) sprang from the loins of al-Qaeda, once the supreme bane of the western world, which achieved its apogee with the destruction of the twin towers in New York. Over the past decade the fortunes of the two Islamist bodies have diverged, with IS apparently going from strength to strength and al-Qaeda apparently diminishing in influence. Now the wheel of fortune has turned, and as a result parent and offspring are at each other’s throats. The assault on the United States that shook the civilized world to its foundations occurred on the 11th of September 2001. An investigation by the FBI quickly determined that those responsible were directly connected to al-Qaeda. By the start of December 2001, US special operations forces had tracked the leader of al-Qaeda, Osama bin Laden, and some one thousand of his followers, to their six square mile hideout deep in the Tora Bora mountains of eastern Afghanistan. For two weeks nearly a million pounds of American bombs rained down on them. 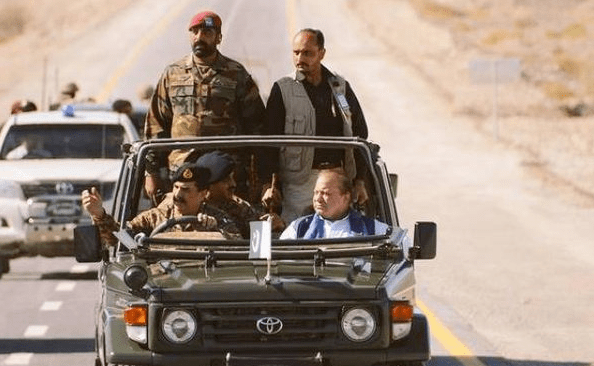 Although about two hundred terrorists were killed and fifty captured, the US operation could scarcely be deemed a success, for most the jihadists, together with their leader, evaded capture, fled into Pakistan’s lawless tribal belt and disappeared. It took nearly ten years before a special commando force of the US Naval Special Warfare Development Group, known as SEALs, finally located bin Laden’s new headquarters inside Pakistan, tracked him down and killed him. During that decade al-Qaeda groups mounted a succession of bombings and terrorist attacks across the globe. Jaish-e-Muhammad chief Maulana Masood Azhar has claimed that India had offered money to the then Taliban government to arrest and hand over him and two others after they were exchanged for passengers and crew of the hijacked Indian Airlines flight IC-814 at Kandahar in 1999. Azhar claimed the alleged offer was made by the then External Affairs minister Jaswant Singh to Mullah Akhtar Mohammad Mansur, the Taliban chief who was killed in a US drone strike last month. At the time of the hijacking, Mansur was the civil aviation minister of Taliban’s Islamic Emirate of Afghanistan. Azhar made these claims in an obituary of Mansur, posted under his pen name Saidi in the June 3 issue of Al Qalam Weekly, which is considered the Jaish’s online mouthpiece. It will be best if Modi takes the many lessons that history holds out for those who think of venturing into Afghanistan for one reason or the other. The political pot in Afghanistan keeps boiling constantly, the churn so rapid that an instant becomes history almost immediately. Akhtar Mansour is distant memory already. People may soon ask, ‘Who was he?’ Whether they actually do so is not the issue, what is important is this; will we ever know the truth about the killing of Mansour, the Taliban Chief? Or for that matter about the death of his predecessor Mullah Omar who was fictionally kept alive for two years? Nor are we likely to ever know the extent of Pakistan’s involvement in the hosting and then the betrayal of Osama bin Laden. There were huge protests in and by Pakistan following the night raid on OBL in Abottabad. But the muted, pro-forma Pakistani reaction after the incursion by American drones into Balochistan to kill Mansour raises questions. Was Pakistan complicit? Did it encourage the strike? After all, it is not every day that American drones transgress Pakistani airspace. In fact, over the years, drone attacks on Pakistani soil have reduced vastly. From a peak of 117 in 2010 there were just 11 drone strikes in 2015. And only 3 this year up to 22 May 2016—these 3 include the strike killing Akhtar Mansour. Clearly then, transgressing drones have become the exception and the US might be exercising this restraint due to a combination of factors: collateral damage, Pakistani protests and/or the lack of ground intelligence to effectively guide drone strikes. Or is this reduction in strikes an acknowledgement by the US that Afghanistan cannot be turned around and that Pakistan controls the winning cards there. A steep drop in China’s oil investment may make it more dependent on imports than ever and more determined to advance its interests in the South China Sea, recent data suggests. So far this year, China’s growth in fixed-asset investments (FAI) like buildings and machinery has fallen short of forecasts with a major decline in the petroleum sector, according to official reports. The sharp cutback is a reaction to low crude prices and profit pressures on China’s state-owned oil companies, analysts say. At the same time, China’s crude imports in April jumped 7.6 percent from a year earlier to nearly 8 mbpd, according to customs figures. Domestic output was off 2.7 percent, while imports were up 11.8 percent in the first four months of the year. A burgeoning military-to-military relationship between the United States and India is emerging as China continues to build islands in the South China Sea and conduct aggressive patrolling using outsized sovereignty claims, and it is one that is likely to complicate Beijing’s plans for regional dominance. As reported by the War is Boring blog , while there is no formal alliance yet, one could be on the way. Also, what began as wariness by New Delhi has led, gradually, to new cooperation spurred on by mutual interests. In recent days U.S. and Indian officials met for a “maritime security dialogue” in India’s capital. “The dialogue covered issues of mutual interest, including exchange of perspectives on maritime security development in the Asia-Pacific and Indian Ocean Region as well as prospects for further strengthening cooperation between India and the United States in this regard,” stated an Indian Ministry of External Affairs press release . This article has been co-authored by Ravi Rikhye and Mandeep Singh Bajwa. East Ladakh was so isolated and so lightly patrolled by Indian police that only in 1957 did India realise the Chinese had occupied the region. An Indian Army officer, who photographed parts of the Aksai Chin highway cutting across Ladakh, was disbelieved by Army HQ. Because of increasing problems with China, the Army asked for three additional divisions and one-two independent brigades. The division for Ladakh was to have four strong brigades. New Delhi reluctantly sanctioned just one division for NEFA (North-East Frontier Agency) and one independent brigade for Ladakh with two militia battalions. Resigned to the government's inaction, the Army asked for five regular battalions for 114 Brigade. Instead it got two. The second did not even arrive until the outbreak of the war. As the 1962 disaster, unfolded, HQ 3rd Division was raised at Leh; HQ 114 Brigade moved to Chushul, HQ 70 Brigade arrived from the west Kashmir front, as also 163 Brigade. Prior to the 1971 War, India withdrew 163 Brigade to the Pakistan plains without replacement. 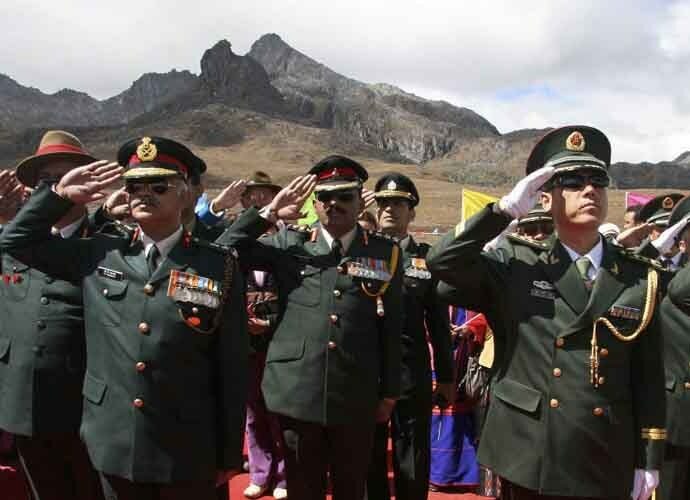 Eventually, by the first decade of the 21st Century, India had only four regular infantry battalions supplemented by two Special Frontier Force battalions committed to the China front. It is surely a sign of the bizarre circumstance in which we find ourselves today that “What exactly is Ahrar al-Sham?” has become a question of international political importance. As the United States, Russia, and other members of the International Syrian Support Group make a new push to resolve Syria’s civil war, the debate over which armed opposition groups are outside the bounds of any settlement has proven controversial and divisive. Much of this debate has centered on opposition faction and Islamist movement Harakat Ahrar al-Sham al-Islamiyyah (the Islamic Movement of the Freemen of al-Sham, shortened as Ahrar al-Sham) – whether Ahrar are “jihadists,” or how they might be linked with al-Qaeda. Just last month, the United States helped block a Russian effort in the U.N. Security Council to designate Ahrar al-Sham a terrorist organization. Now, Ahrar al-Sham has itself weighed in with an hour-long, videotaped lecture by its deputy leader, Ali al-Omar (Abu Ammar), titled “The Ahrar al-Sham Islamic Movement’s Position Among the Islamist Trends.” Over the course of the lecture, al-Omar explains how Ahrar understands itself. He repeatedly delineates the distinctions between Ahrar and the Salafi-jihadist doctrine of al-Qaeda and the self-proclaimed Islamic State, even as he makes clear that Ahrar maintains a fundamentally militant and religious outlook. AMMAN, JORDAN — Iraqi forces are at the entrance of Fallujah, seemingly set to end a brutal two-year reign by the self-declared Islamic State (IS). 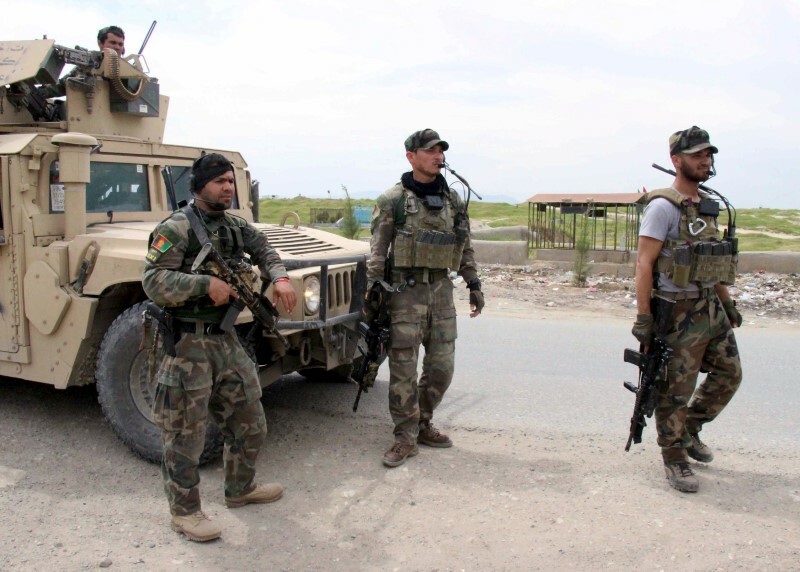 Yet the role of Shiite militias – and the increasing sectarian tone and propaganda surrounding the fight over the Sunni town – are creating tensions that serve IS propaganda and could set the stage for the jihadist group’s return to power in western Iraq. “These operations only further support their narrative as the only defender of Sunnis,” says Hassan Hassan, a fellow at the Washington-based Tahrir Institute for Middle East Policy who coauthored a book on IS. After reports Wednesday that Iraqi forces had suspended the fighting, the prime minister denied the rumors and blamed them on IS. In the latest issue of IS’s propaganda magazine, Dabiq, the group argues that Shiites are now ready for a full-on “war” against Iraq’s Sunnis after years of assassinating “scholars, intellectuals, doctors and engineers.” IS says this is part of a larger sectarian conflict being waged across the region. o Fight the Base, Recover the Base, Win the War!